My Favourite Internet Marketing Tips - A Digital Marketing Agency | IIAS - International Internet Advertising Services Inc.
Are you looking for some marketing tips for your online business? Although there are hundreds of tips available, here are a few which might prove to be very helpful to online business owners like you that have a website. What does your website contain? After all, as they say content is king. Is your website useful and unique enough to gain a large number of visitors? Is it friendly to use, does it function well, and is it reader friendly? Does your website have posts that do not just advertise products and services but actually provide content that is useful and informative enough to your readers? Does the content of your website match the goals and mission of your business? When did you add new website content—three months ago, or three years ago? Your objective is not just to provide great content, but also fresh information. Provide updates as much as possible about your products and services. Or you may also provide videos and photos related to them. You may also post articles and other relevant material to your business. Don’t forget to organize your website. A lot of times, Internet marketers think that they can just dump information on the website and expect people to swarm the site and devour its contents for all their heart’s content. The truth of the matter is, online readers are busy. All the time. So if you want your visitors to get as much information from your website in the little time that they have, make sure your content is well-organized and the website well-structured. If a visitor wants to check out the history or background of your business, make sure there’s an “About us” page there. Or a “Contact us” page in case they have a question or an inquiry. Make sure your content is given the appropriate headings and bulleted lists. People rarely read through tons of pages on a website. So make sure that you can make it easier for them to read your website by offering bulleted points, lists, or summaries to get a gist of what you are stating. Most of the time, a website that is well structured and content well organized is more visited than a website that may provide good information but not structured and poorly organized. 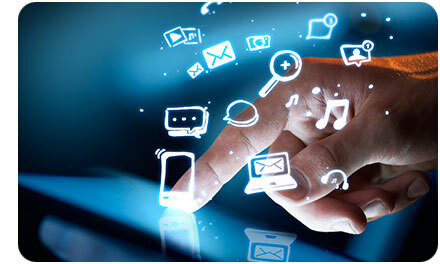 Make your website’s content easy to disseminate in the social media. If your website has social media sharing buttons, this will make it easier for your website visitors to share to their networks the content of your website. In addition, search algorithms of top search engines such as Google now include social shares. This means that the more your website’s content is shared in various social media platforms, it is most likely that the site will rank higher in Google search results. Tap social media to generate traffic to your website. Facebook, Twitter, and Google+ are among the prominent social media tools that you can use to engage readers, interact with them, and promote your products and services. Do not just use text. In fact use visual content. It is more engaging and a lot of people would rather see a photo, infographic, or watch a video.